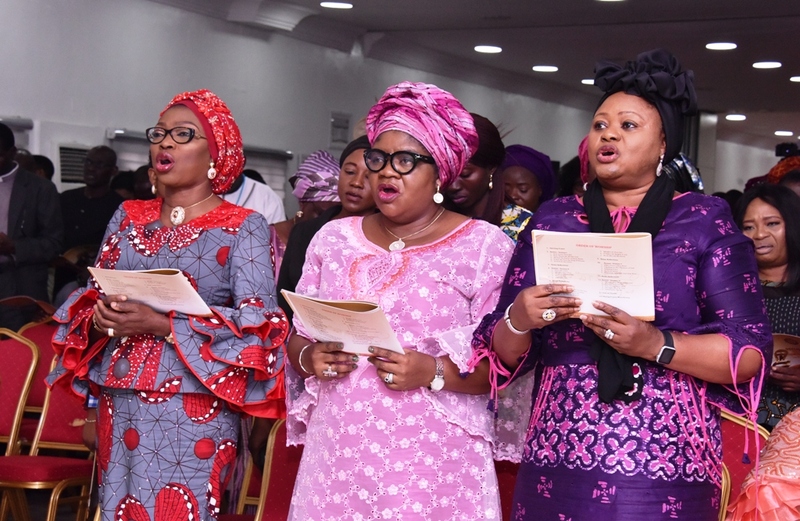 Wife of Lagos State Governor, Mrs. Bolanle Ambode with the representative of the Deputy Governor & Permanent Secretary Deputy Governors Office, Mrs. Yetunde Odejayi and Commissioner for Commerce, Industry and Cooperative, Mrs. Olayinka Oladunjoye, during the “Hymnal Hour” held at the Banquet Hall, Lagos House, Alausa, Ikeja, on Saturday, 1st September, 2018. 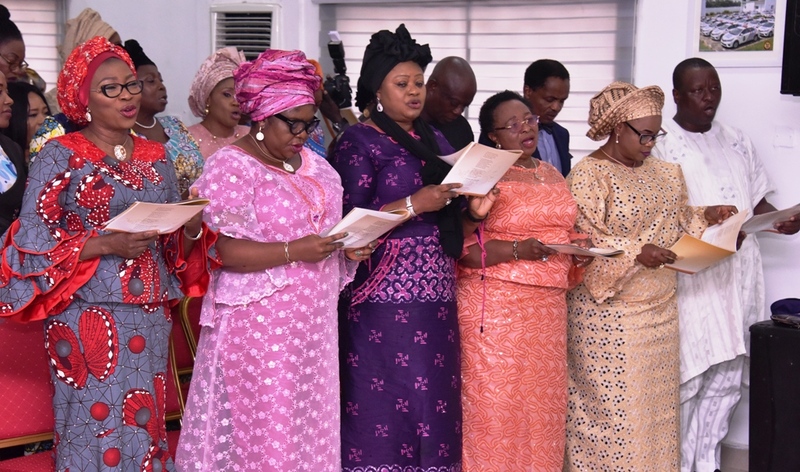 Wife of Lagos State Governor, Mrs. Bolanle Ambode with the representative of the Deputy Governor & Permanent Secretary Deputy Governors Office, Mrs. Yetunde Odejayi; Commissioner for Commerce, Industry and Cooperative, Mrs. Olayinka Oladunjoye; Former Managing Director, Lagos State Parks and Gardens, Mrs Titi Anibaba and Representative of the Governor of Lagos State and Commissioner for Information and Strategy, Mr Kehinde Bamigbetan, during the “Hymnal Hour” held at the Banquet Hall, Lagos House, Alausa, Ikeja, on Saturday, 1st September, 2018. 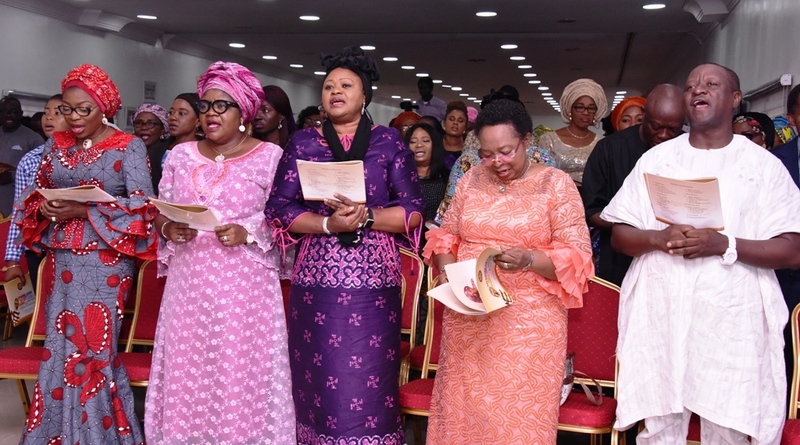 Wife of Lagos State Governor, Mrs. Bolanle Ambode with the representative of the Deputy Governor & Permanent Secretary Deputy Governors Office, Mrs. Yetunde Odejayi; Commissioner for Commerce, Industry and Cooperative, Mrs. Olayinka Oladunjoye; Former Managing Director, Lagos State Parks and Gardens, Mrs Titi Anibaba; Special Adviser to the Governor on Arts & Culture, Mrs. Aramide Giwanson and Representative of the Governor of Lagos State and Commissioner for Information and Strategy, Mr Kehinde Bamigbetan, during the “Hymnal Hour” held at the Banquet Hall, Lagos House, Alausa, Ikeja, on Saturday, 1st September, 2018. 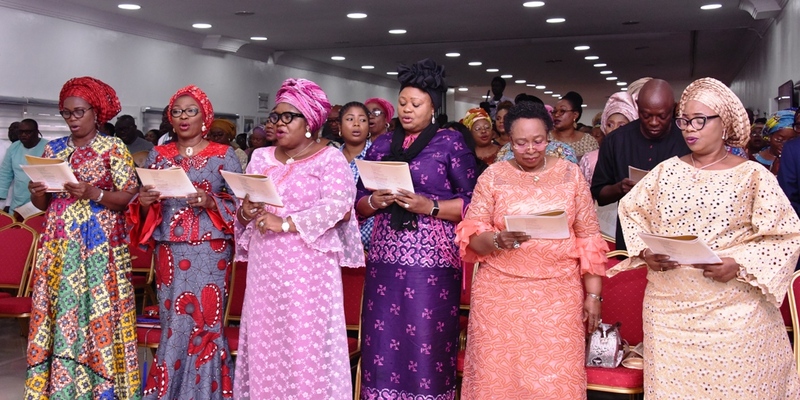 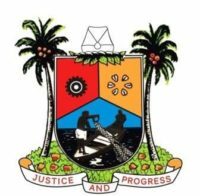 Representative of the Lagos State Head of Service, Mrs. Bukola Durodola; Wife of Lagos State Governor, Mrs. Bolanle Ambode; Representative of the Deputy Governor & Permanent Secretary Deputy Governors Office, Mrs. Yetunde Odejayi; Commissioner for Commerce, Industry and Cooperative, Mrs. Olayinka Oladunjoye; Former Managing Director, Lagos State Parks and Gardens, Mrs Titi Anibaba and Special Adviser to the Governor on Arts & Culture, Mrs. Aramide Giwanson, during the “Hymnal Hour” held at the Banquet Hall, Lagos House, Alausa, Ikeja, on Saturday, 1st September, 2018.